[toc]Chickenpox has been defined as a viral infection, which leads to emergence of blisters all over the body along with itchiness, rashes and red spots that seem to be popping up everywhere. After these red spots appear, or sometimes even before that, one can get fever, feel tired all the time and experience poor or loss of or poor appetite. Caused due to the virus named varicella-zoster, this disease is infectious and spreads very fast. 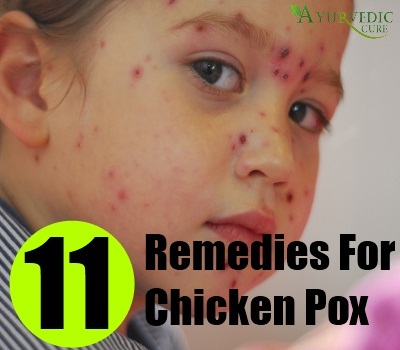 Bitter neem is one of the best available remedies for treating chicken pox. It has been used in India for centuries to curb the spread of many infections and viruses along with the common chicken pox. 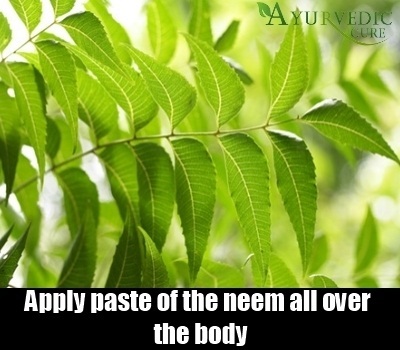 Simply make a paste of the neem and then apply all over the body. This paste can be rubbed in to prevent further spread of the disease and also absorb the harmful virus, preventing it from spreading to other areas. Since itching is very common during the disease, neem leaves and stems are used for soothing the scratching. 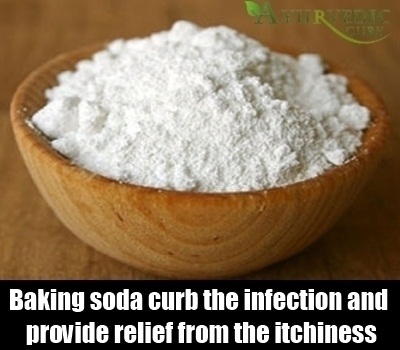 One can use baking soda to curb the infection and also provide relief from the itchiness. All that you have to do is take a spoon of the powder and mix it in a glass filled with room temperature water. Then sponge the entire body using the water and let the same dry naturally. Not only will it stop irritation and itching, it will also help you to dry the pox blisters much faster. 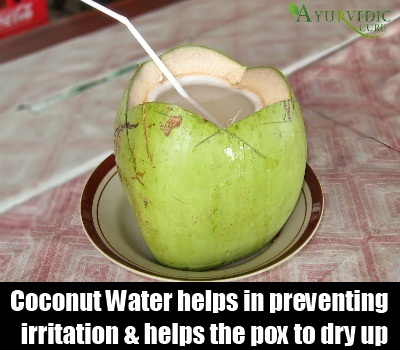 The water of the coconut is another effective remedy for pox. Simply take the water of the coconut in a bowl and then apply it all over the body using cotton balls. This helps in preventing further irritation, helps the pox to dry up and also prevents marks from being permanent. Using apple cider or even brown vinegar is a quick remedy for treating pox. 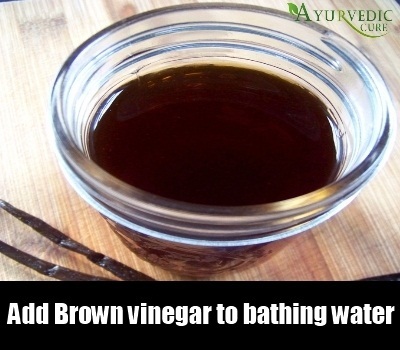 Half a cup of of this vinegar should be added to your bathing water. It too does not let the scars or lesions to get worse and helps in healing the scratching. You can towel dry yourself after the bath. Both of these plants are very beneficial in chicken pox treatment. Two make this you need about 2 spoons of queen of the meadow and marigold flowers. Take about a spoon of the coltsfoot leaves and mix the same in a couple of cups of boiling water. Allow the same to boil in a non metal pot and then cool and have a cup everyday. It eases fever and other pox symptoms too. 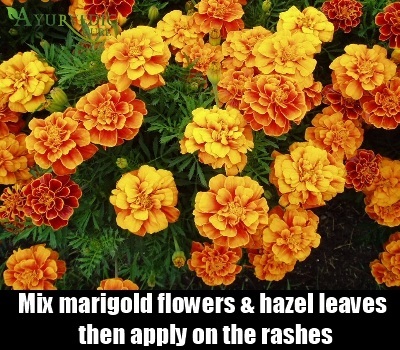 You can also mix marigold flowers in some hazel leaves and let the mixture stay overnight. Grind it well the next morning and then apply on the rashes. Your good old green peas are great to taste and also very helpful in treating chicken pox. 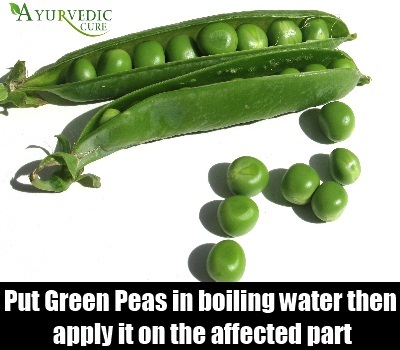 Simply take a bowl of green peas and then add some water to it. Allow it to boil and then strain the water. Later use this water for applying on the infected areas and get relief from rashes. 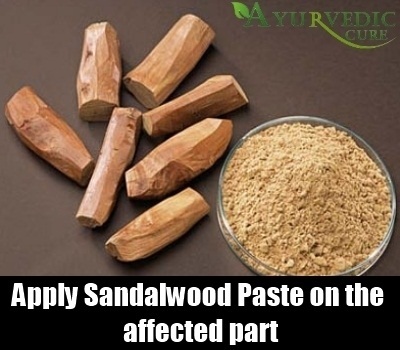 The paste of sandalwood is another effectual treatment for irritations of all kinds. All that you have to do is make a paste using the stick of the sandalwood or even get ready powder and apply the paste all over the body. Let it dry and then wipe it off. You can also use the oil of the sandalwood instead and apply the same on the rashes. Doing so prevents scar marks from taking place and also helps in treating the blemishes. This oil can be mixed with some vitamin E oil too. Honey should be applied on the pox and blisters to get respite too. 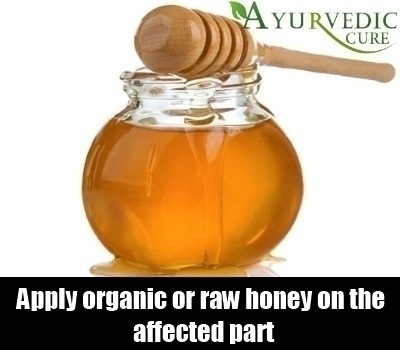 Make sure that you use organic or raw honey or any other good quality honey. This process should be repeated at least twice a day for a few weeks. You can also add some oatmeal paste to the honey and then spread the same on the body. Let it dry and then wash off. Oatmeal can also be added to your bath. Soak yourself in the same for at least 15 minutes to get relief from itchiness. 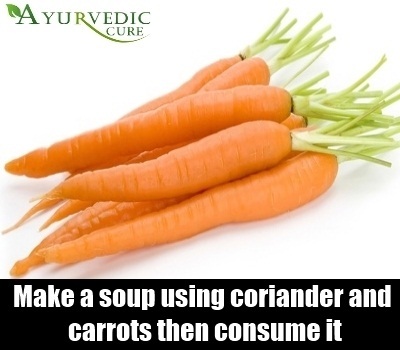 Make a soup using coriander and carrots and then consume the same everyday. Take about a cup of chopped carrots along with half a cup of coriander. Then boil the two together and allow it to cool after it is cooked. You can mix it into a puree or have it as it is for strength and also combating the fever. 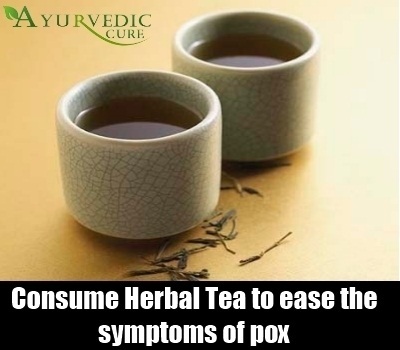 There are various kinds of herbal teas that can be consumed to ease the symptoms of pox along with helping faster recovery. You can make a tea using honey, ginger, chamomile, green tea, lemon or even holy basil. Simply boil the ingredients well and add a few drops of lemon and drink this every day. It improves immunity and helps ward off the infection too. Ginger too is very beneficial for treating the various symptoms and signs of pox. It helps to relief itching and improves immunity and aids digestion, which gets weakened during this time. Simply drink ginger based teas or chew on ginger candies. You can also add some ginger powder to your bath to get relief from the irritation and itchiness. With these remedies, you should be able to overcome the issues associated with pox along with faster healing, however do consult a doctor to make sure that the infection is not getting worse and get ample of rest too.